Second graders are well on their way to mastering the basics of math. 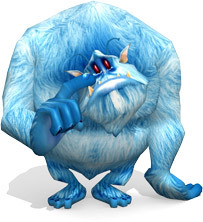 The cool math games in the virtual world here at Math Blaster give second graders the opportunity to brush up old concepts and to attempt tougher problems! Most often, teachers start second grade by revising math concepts that were taught in the first grade. It is important to ensure that the kids understand and fully grasp the concepts they were taught earlier so that they are ready to build on those and learn more advanced ones. Second graders should have complete command over basic math facts. Mental math, addition and subtraction with three-digit figures that involve carrying over, counting and spelling numbers till thousands, place value till the thousandth, rounding numbers to the nearest tenth, hundredth and thousandth, and learning to tell time more accurately are some of the math skills that second graders should have. Math games for 2nd graders are a great way for parents as well as teachers to get the little ones to engage in some math practice. 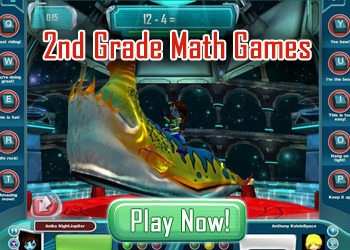 Entertaining and educational, these games integrate math concepts that kids need to be familiar with and math problems that they need to solve in order to move ahead in the game. 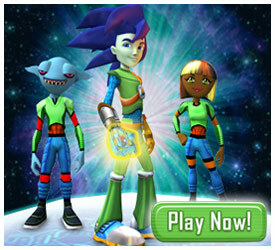 The virtual worlds at Math Blaster and JumpStart are a great way to keep the kids occupied as well as improve their math skills. These games give kids the flexibility to choose what kind of problems and what level of difficulty they want to attempt. Parents and teachers can monitor kids as they play these games and can even encourage them to try their hands at more advanced problems. Math has probably never been this much fun!